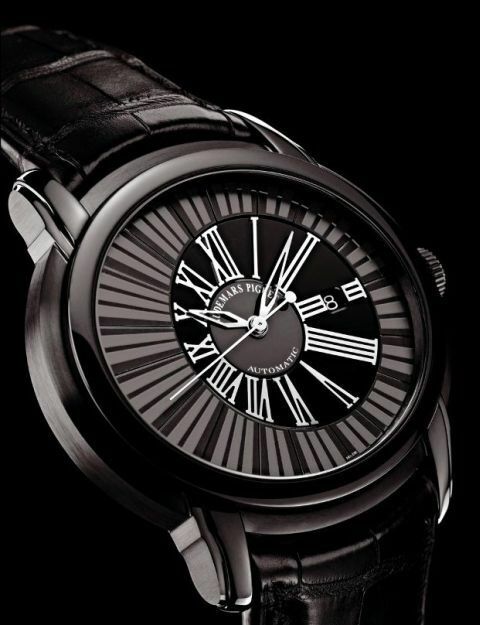 Audemars Piguet "Quincy Jones" Millenary Automatic in PVD Blackened Stainless Steel. World-wide Limited Edition of 500 Pieces. True Collector's Piece. A perfect watch for lovers of music and fine watches! New dealer's display model. sorry but box and papers are misplaced. 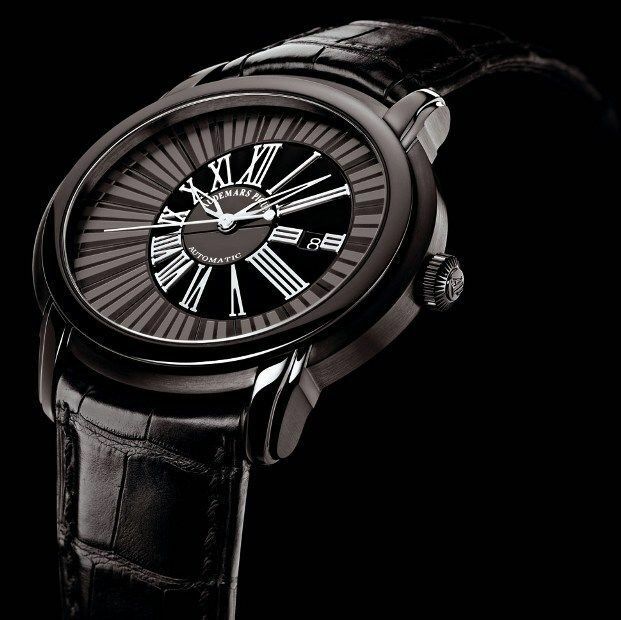 This is the large version Millenary at 47mm. 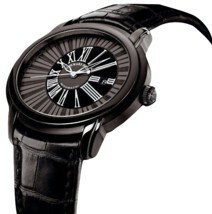 Do not get confused with the smaller Millenary models. 100% Authentic or MONEY BACK GUARANTEED! Please check our years of perfect feedback on high-end watches. Reference No. 15161SN.OO.D002CR.01 Super collectible and rare, specially limited edition of 500 released in 2010 to celebrate the world famous musician and composer Quincy Jones Quickly selling out. Current retail is 22,000. Limited Edition of 500. Normally very little discount. I am helping it no reserve to raise cash for a business venture. True collector's item with strong brand, and will appreciate in value over the years. Don't let this rare opportunity slip away. 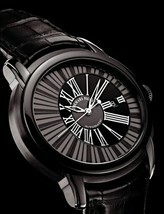 Hi, it is with excitement that I am presenting this very rare AP Quincy Jones Millenary Limited Edition. Featuring: * Iconic "Millenary" oval shape . Off-set dial design. Large Millenary case. Don't confuse it with the smaller Millenary models * Case in PVD stainless steel with brushed finished edges and high-polish finished lugs bezel - very hard to do. * High-polish 18K white gold skeleton hands. 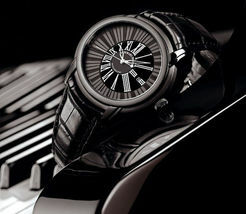 * Dial: - Jet black offset center features polished 18kt white gold applied Roman Numeral hour markers. - Lighter shade black outer diameter with piano key design minute markers. * Date window located at the 3 o'clock position. * AP caliber 3120 with an approximate Power Reserve of 60 hours. From Audemars Piguet's website: "It’s not every day that one can meet an artist with a background as varied and impressive as Qunicy Jones’. The musician’s journey has taken him from inner city Chicago to Seattle, Boston, and New York, and on to various European cities, where he played and composed for the principal jazz heavyweigts of the time, including Ray Charles and Dizzy Gillespie. Imbued with a passion for music, he worked in the 1960s alongside artists with styles as varied as Frank Sinatra, Barbra Streisand and Tony Bennett. Subsequently he found himself increasingly interested – as a musician, composer and producer – in blues, funk and pop, a direction that naturally led him to the doorstep of the young Michael Jackson. They began a three-album collaboration (Off the Wall in 1979, Thriller in 1982 and Bad in 1987), which became a world-wide sensation. Today, the 78-year-old musician has a special relationship with Switzerland. He is a trusted friend of Claude Nobs, the founder of the famous Montreux Jazz Festival, and has been closely associated with Audemars Piguet for many years. 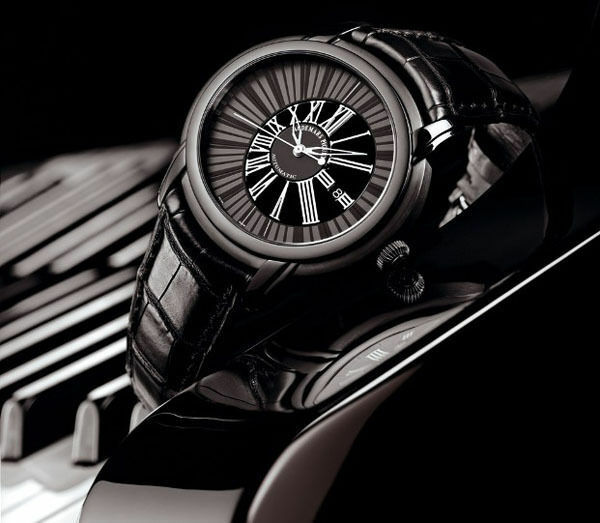 In 2010, the Manufacture paid homage to this extraordinary personality by dedicating a limited edition collection in his name: the Millenary Quincy Jones, a model inspired by the black keys of the piano keyboard, the artist’s favorite instrument. For although Jones is an excellent trumpet player, it was the piano he discovered first, as a child, and taught himself to play. “I never thought I’d have a watch bearing my name,” he explained during a visit to the Manufacture last year. Jones’ simple manner and philanthropic side have always impressed the brand, which wanted to bear witness to his friendship by donating a portion of sales of the Millenary Quincy Jones to the Quincy Jones Association. “I try to live according to the words I often hear from Nobel laureates, which are: Love, live, and give,” added Jones, thanking Audemars Piguet along the way for its support of his foundation." Shipping: Free shipping in the US International shipping is 158. It accurately reflects the full insurance on this piece, which can be a bit high given the high value of it. But I am sure we all want to ship and insure the piece properly. Payment Methods: I can take paypal(confirmed and verified address only) and can contact the winner bidder for other payment details and other payment options for the winner's convenience. I have 100% positive feedbacks , have sold many high value fine watches, so please buy with confidence! I DO NOT ACCEPT ANY KIND OF ESCROW SERVICE. Please only bid when you plan to pay. Thanks for your cooperation! For your safety: To protect you from fraudulent solicitors, I have made this sale private so your identities are not exposed to harm. Refunds Returns: In the event that any item fails to meet the description provided in the listing, you may return the item in the same condition it was received (using the same shipping method as the one used to send the item to you, with insurance, at your cost) and we will issue a full refund with no re-stocking fee. We want this to be a positive experience for everybody. Please check our feedback and bid with confidence.